TV stand and overhead two-door wall cabinet. Minimalist rustic elegance at its best. 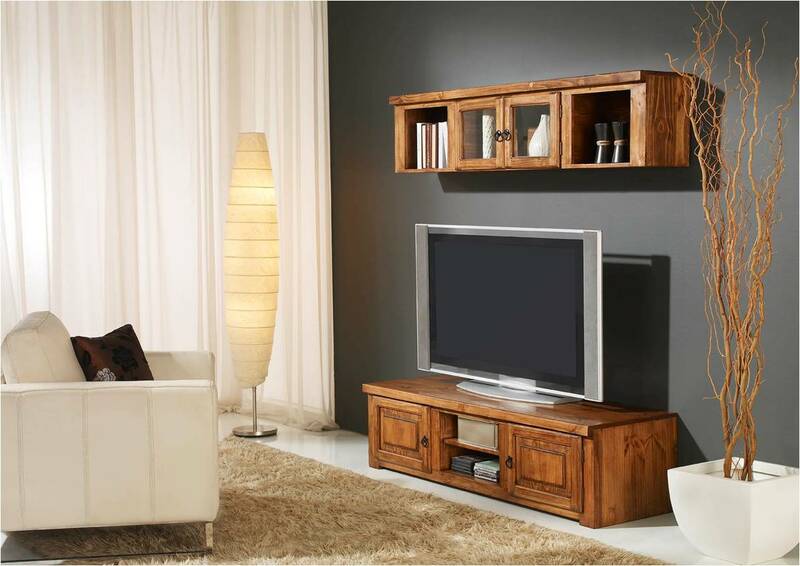 Sleek entertainment center includes two units sold and shown together. A sure way to make sure you keep de-cluttering. Works well together with with rustic decoration elements, or in more modern or Asian style condos or villas. May also order it in dark chocolate stain for an even more contemporary look. Dimensions shown are for TV stand. Two-door wall cabinet dimensions are 160 x 25 x 36 (cm). (Click to see a nice full-screen shot of this piece).